Noxious weeds can be either poisonous to humans or livestock (e.g. ragwort) or able to reproduce very rapidly to the detriment of other species (e.g. Spear Thistle). A leaflet on noxious weeds is available from Agriculture, Countryside and Land Management Services. It contains information on the control of these plants. The department may issue a notice requiring noxious weeds to be cleared. Please contact the above department if you require further information on the identification and control of noxious weeds. 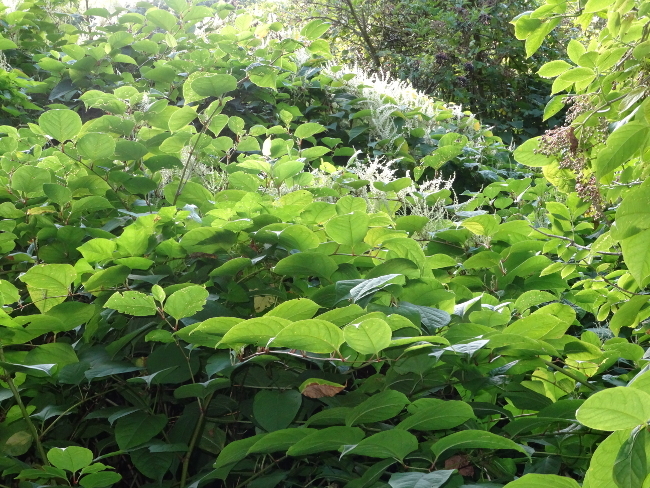 Although, at the time of writing, Japanese Knotweed is not listed as a noxious weed under the Law, the Douzaine is most concerned that this extremely invasive and destructive weed should not infest the Parish or indeed, the Island in general. 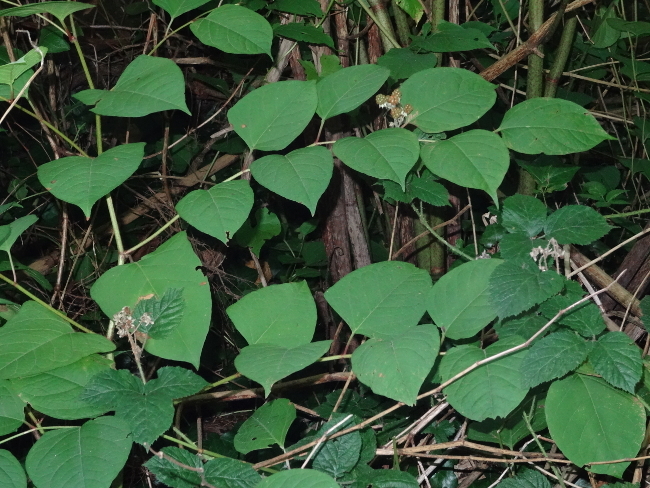 Japanese Knotweed or Asian Knotweed (Fallopia japonica, synonym Reynoutria japonica), is a large, herbaceous perennial plant of the knotweed and buckwheat family Polygonaceae. It is native to East Asia in Japan, China and Korea. Travellers to the Continent and the UK will have seen large tracts of this weed alongside roads and hedges and on waste land. It has a really wide-ranging and very deep root system, which can extend up to 7-8 metres. The two photos below were taken in Guernsey, so we can’t afford to be complacent.